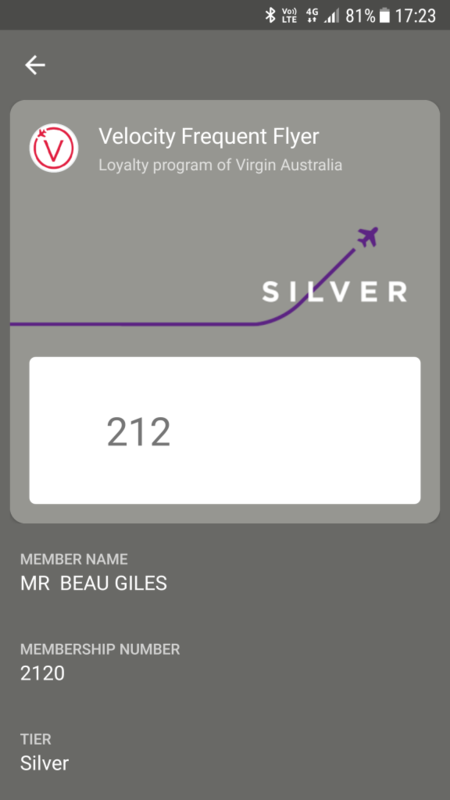 Virgin Australia was one of the big partners around Apple’s Passbook launch several years ago, allowing you to check in for your flight online via your mobile phone, and then had the option to add it to Passbook. No more having to deal with filing emails or carrying printouts – it would just appear on your lockscreen at just the right time (a few hours before your flight) like magic. 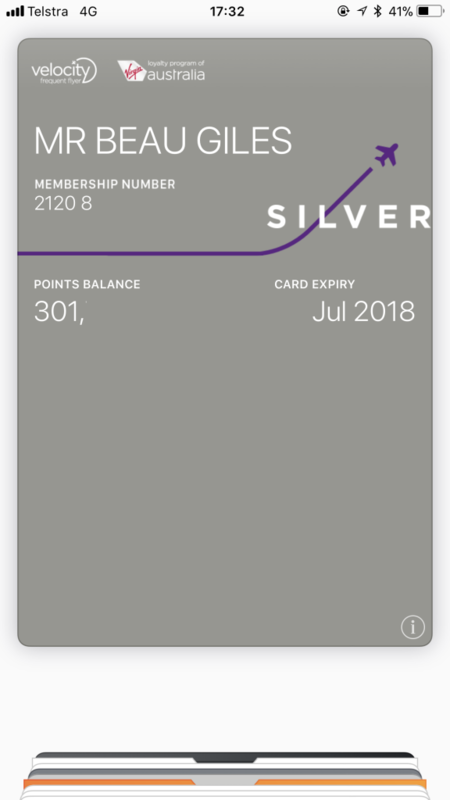 This was later enhanced with a brand new iPhone app, storing your membership details, points history, and boarding passes. 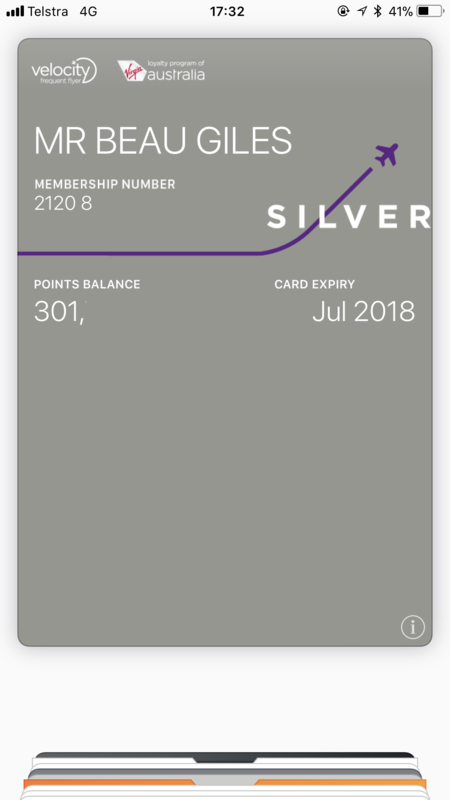 In the last few weeks, Virgin seem to have added the option to have a ‘Digital Membership Card’, allowing you to put your ‘card’ in Wallet (and Android Pay too!). Of course, it’s a rather basic pass with negligible benefit – it’ll show your name, membership number, tier and points balance. It doesn’t appear to have a barcode at all, and can’t be used at places like BP where you’d normally swipe your plastic card to accrue points. Adding the card is easy enough. 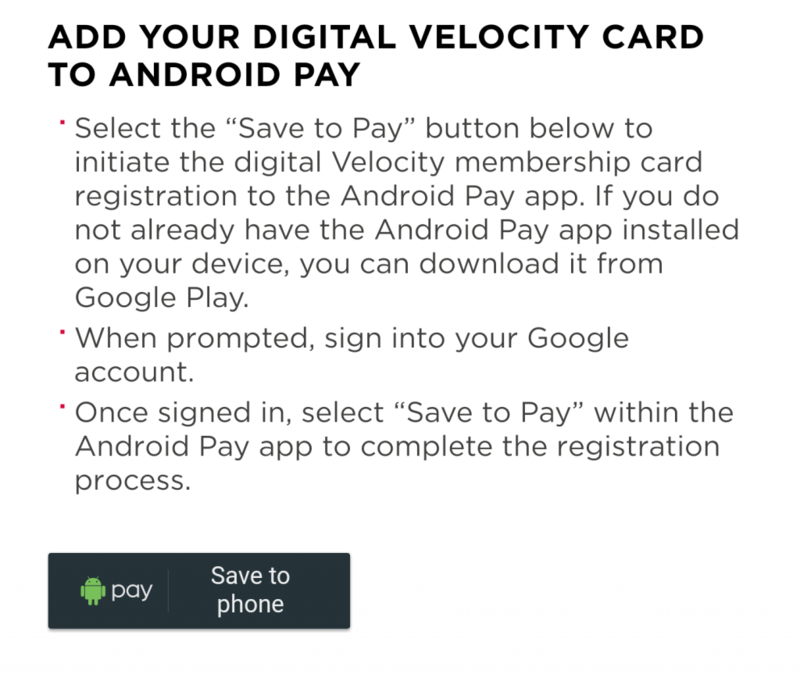 On Android, just head to https://www.velocityfrequentflyer.com/content/MyAccount/LoyaltyCard/ and sign in with your Velocity account. Towards the bottom of the page you’ll see an Android Pay section – just tap ‘Save to phone’ and it’ll be added to Android Pay. Easy! On iOS it’s a few more steps – on you’ll be asked to enter your mobile phone number. After filling it out, you’ll receive an SMS with a link to add your membership card to Apple Wallet. Just tap on the link – you may be asked to sign in again to your Velocity account, and then you’ll be able to tap ‘Add’. And done! It’ll appear in your Wallet alongside your other passes, tickets, etc and Apple Pay cards. It’ll automatically update with your current point balance, as well as your status and expiry – so it’s not merely a static pass.